In the light of my recent ‘Reaktive’ touches on the past, here is a nice sample of the ‘soft’-(r)evolution; while NI (Native Instruments) and, in particular, Korg with their Legacies are going mostly on re-creation (here and there with some extensions), these guys went a ‘little’ deeper, aparently; as time permits. I’ll ‘review’ them. Fusor, for example, is coming in the ways of the LegacyCell but deeper than … shall I say … a ‘VST host’ on steroids! Fusor is a layering and performance environment for any combination of 3 DCAM synth instances. Although it provides a full effects suite, mixer and step-sequencer, it should be considered as an super-instrument or ‘synth rig’ rather than a complete host. It is intended for layered ‘super-patches’, not for full songs or as a conventional multi-timbral sound module. 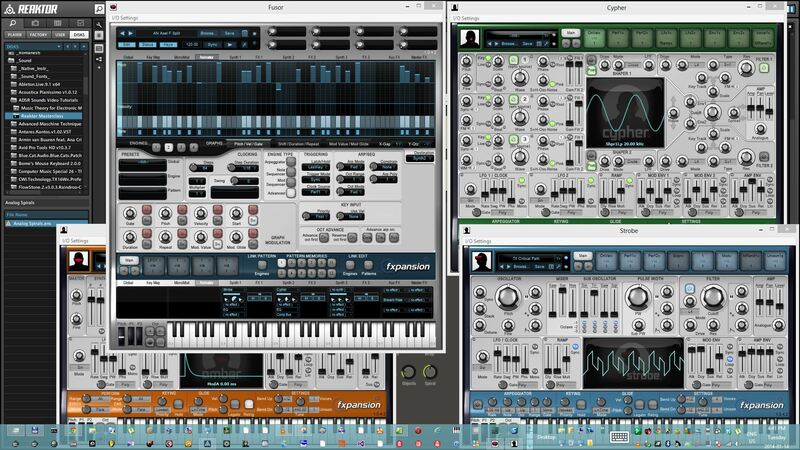 Fusor hosts 3 synths, features 4 additional LFOs, 4 envelope followers, an effects suite and a complex four-engined step sequencer/arpeggiator called Animator. It is inspired by multi-section instruments like the Korg Trident and ARP Quadra – some of the most versatile instruments of their time. It is also influenced by the large, wraparound synth rigs employed by jazz fusion and progressive rock artists like George Duke, Joe Zawinul and Keith Emerson. These would typically comprise several analogue polys, monos and maybe even an analogue sequencer or a modular like an ARP 2600, alongside other keyboards and various FX units. This entry was posted in Music by androstoica. Bookmark the permalink.